Have you thought about what it might be like to retire in Maine? This website has useful data and opinions about the best places to retire in Maine, including exciting active adult and over 55 retirement communities in the Pine Tree State. This northernmost New England state has a small population (just over 1.3 million people in 2015, median age 43.5 - 6 years higher than U.S. median) along with unparalleled beauty. Its 3500 miles of shoreline is dotted with countless islands and a rustic charm that is unforgettable. Inland there are many lakes and extensive forests. Mount Katahdin is located near the coast but has an elevation of almost 5300 feet. The largest town in the state, Portland, has 20% of the state's population. Augusta is the capital. There are many beautiful towns in the state. Maine tends to attract hardy souls who love the outdoors and the change of seasons. The Wikipedia entry for Maine has more facts. Updated Oct. 2018. The Maine climate is called humid-continental. There are 4 seasons. Summers are mild and winters are cold with frequent snowstorms. Maine's median household income at $48,804 in 2010-14 was $5000 below the United States median. Median home selling prices in Portland have been rising sharply in recent years, reaching $294,000 in mid 2018 vs. the national median of $269,700 (NAR). The statewide value index was $222,000 in mid 2018 (Zillow). Prices in rural areas will be quite a bit lower. Maine has the 14th highest cost of living of any state. Tax Burden: Maine, with a tax burden of just over 10%, is the ninth highest in the country. Marginal Income Tax Rates. Maine's income tax rate ranges from 5.8% to a top marginal rate of 7.15%. Retirement Income Exemptions. Individuals may deduct $6,000 of pension income, although social security benefits are reduced from that (except for military pensions). There are certain complicated situations that apply, such as for annuities. See Maine Revenue for more. Sales Tax: State sales tax is 5.5%. Property Taxes: The median property tax paid in 2009 was $1936. There are some exemptions for seniors and veterans, as well as a circuit breaker program. Estate and/or Inheritance Taxes. There is no inheritance tax, although there is an estate tax on estates over $1 million. Maine does not have a certified retirement community program. Maine has some wonderful small towns - both on the coast and inland. Its small college towns like Bowdoin ((Brunswick), Bates (Lewiston), and Colby (Waterville) are lovely and attract retirees as well as students. 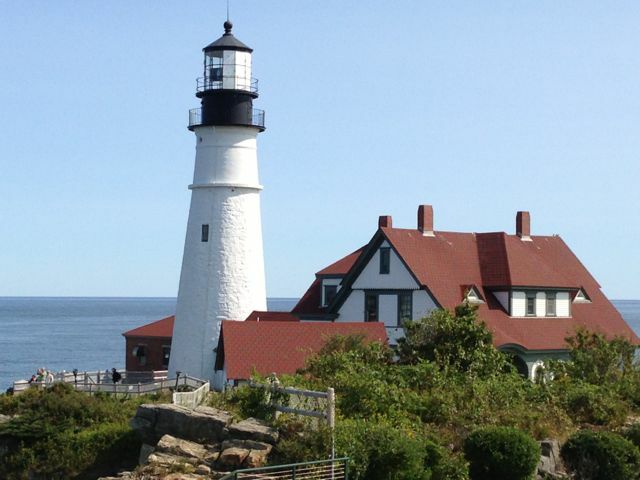 Camden, Bath, Cape Elizabeth, Old Orchard Beach, Kennebunkport (home of the elder President Bush) and Bar Harbor are some of the most beautiful towns anywhere in the world - many of these attract summer residents. Topretirements has profiled a number of towns that make great retirement communities including Portland, a resurging city in the southern part of the state. Towns in neighboring Vermont and New Hampshire like Waitsfield would also appeal to people thinking about a Maine retirement. Sunday River and Sugarloaf are two great ski resorts that attract retirees. Get started with reviews of the best retirement communities.